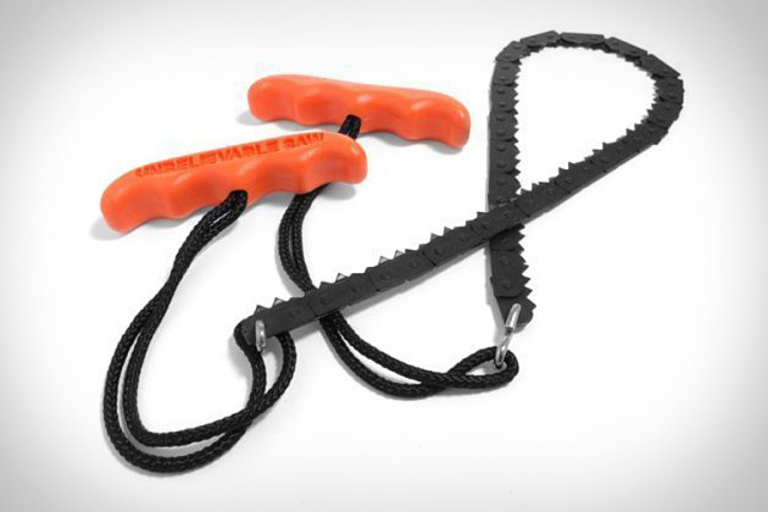 No, it's not a gas-powered hazard sized down to dangerously small proportions — the Pocket Chain Saw ($20) is instead a tiny-yet-potent saw made from heat-treated steel that can cut through limbs up to 3" in diameter with ease. It's perfect for campers, hikers, and anyone else who might need to cut up a body tree in a pinch. If you're in a situation where you need to start a fire to stay warm, you need to know you can count on your fire-starting gear. 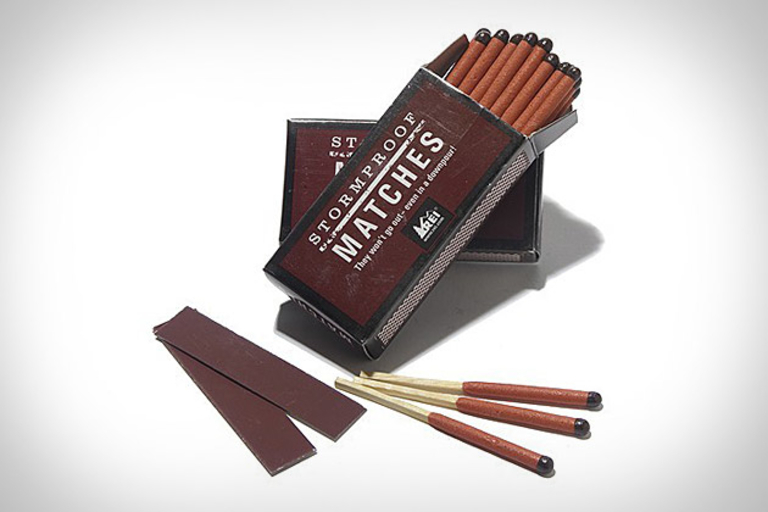 These Stormproof Matches ($6) are about as reliable as they come, coated in a chemical that makes them both water- and windproof, ensuring that you'll be able to get things going, no matter what the conditions. In case of emergency. In case of zombie outbreak. In case of rabid squirrel attacks — whatever the case, you can rely on the Mossberg Just-In-Case Kit ($360). This all-in-one survival pack includes a 12 gauge Mossberg 500 Pump-Action shotgun inside a re-sealable clear bag, inside a waterproof synthetic carrying tube which also holds gear like a "Survival Kit in a Can" and a multi-tool and serrated knife combo pack. We're pretty sure that someone, somewhere has slid down a snow-covered hill atop a bean bag before, but they probably didn't have as good a time as you could aboard the Bean Bag Sled ($300). To reduce the shock to your lower back, it features an inflatable air bladder inside, which is surrounded by tons of the 2mm polystyrene spheres you'd expect, and also boasts top and sides made from double-stitched PVC-coated polyester, a bottom mesh of double-coated PVC, and a strap. Quick, where's the non-caloric, silicon-based kitchen lubricant?